Mallory is the complex case coordinator for the clinic and reviews and makes recommendations to Physicians, Case Managers and Insurers. She specializes in Human Factors/Ergonomics and has consulted with over 40 companies and organizations. Her industrial rehabilitation programs include: Work Conditioning, Work Hardening, Return to Work Programs, Functional Abilities Evaluations, Job Demands Analysis and Post Offer/Pre Fit Job Testing. 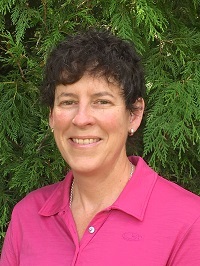 She also has a clinical interests and experience in cardiopulmonary rehabilitation, mental imagery techniques and biomechanical evaluation for sports performance. She has a special interest, post graduate training and years of experience helping people manage chronic pain. Outside the clinic Mallory LOVES to cross country ski, but without snow, she can be seen pole running up hills (to prepare for cross country skiing). She spends as much time outdoors as possible biking, trail running, hiking, kayaking, exploring, fishing and snorkeling with marine mammals. "Plasticity" refers to our body's capacity to adapt, and ultimately overcome all measures of pain and dysfunction...from the tiniest neurons in our brains, to the capillaries that circulate blood...to the muscles, tendons, ligaments and joints that move us. I have seen some truly miraculous recoveries from debilitating injuries, disease and trauma of all kinds...and often it came from the person's belief that they could, and would, overcome.